You are here: Home / Parenting Blog at KidsAintCheap / Parenting / Have You Ever Considered Having a Mommy Card Made? 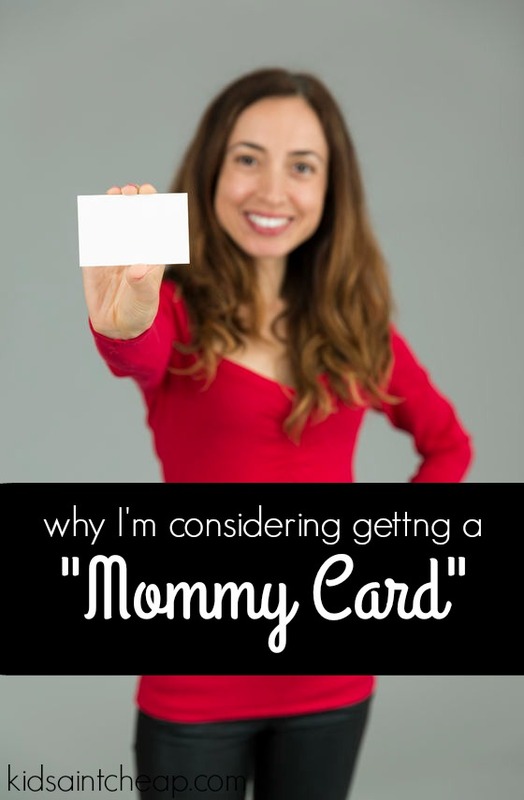 Have You Ever Considered Having a Mommy Card Made? I remember a few years ago reading about this new trend in the parenting world dubbed ‘’Mommy Cards’’. It’s a business-type card which contains all your basic mommy (or daddy) information for another parent/teacher/coach /babysitter to contact you. Some versions also contain photos of you and/of the kids, parent’s social media contact info and other pertinent info about your kid like allergies. Never put your home address with all this above mentioned information because it could become a safety risk if card were to be placed in wrong hands. Also all social media accounts should always be on highest privacy setting. I have to be honest, I thought it was a joke the first time I heard about them. I’m not sure whose idea it was, a parent or a printing company looking to make more money, but the whole idea seemed silly and like a colossal waste of money. In the last few months though my tune is starting to change and I’m seriously considering jumping on the Mommy Card train. As my daughter begins to get involved in her own extracurricular activities, I find myself engaging in conversations with other parents. This past weekend I talked to two other moms while our daughters were in ballet class for over an hour. We started talking about mutual contacts and birthday party ideas for our kids’ upcoming birthdays. Because our kids aren’t in school yet the relationships they make are coming from places like dance class and soccer. I have my daughter asking me to invite her new friends to her birthday and I don’t even know the moms names yet. Many times already I find myself looking for scrap paper to jot down my contact info to give to another parent for similar reasons. I’ve had a few of my daughters friends parents find me on Facebook and reach out to me that way but without knowing our last name or my email address this isn’t always possible. I’m already envisioning in a few years dropping my daughter off to a birthday party or other event where we’re not present and how much easier it would be if I had something like one of these parental contact cards to carry with me. Don’t get me wrong, it’s not a big deal (at all) to jot down the info on a scrap of paper when needed, but having one of these cards makes the info just seem a little more important or something. I know I personally would be more likely to take care of a business card than I would a crumpled up receipt with a note written on the back. As my daughter gets more and more involved in things, and gains more and more contacts of her own, I feel like these cards could play a part in my role as her mom and keeping as many contacts as possible. Are they a necessity? No, but sometimes the silliest of things, in this case a ‘’Mommy Card’’ can solve an easy problem. Have you heard of Mommy (or Daddy) Cards before? What do you think of the concept?